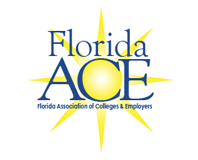 FloridaACE is a professional network throughout Florida with the goal of providing members the opportunity to share resources related to the employment/recruitment and career development of college students. Network with professionals through a state wide group of over 380 career development and human resource professionals. For more information about joining FloridaACE, please contact the FloridaACE Secretary at [email protected] or join now.